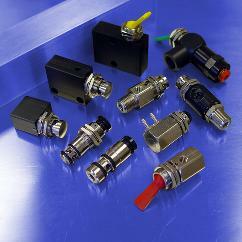 Established in 1975, Pneumadyne was developed out of the industry's need for a better miniature pneumatic valve. Over forty years later, we are known as a leader in the design, development, manufacture and integration of fluid handling devices. 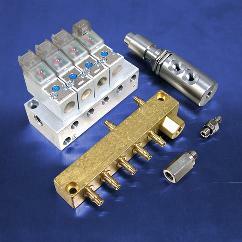 Bimba Manufacturing Company acquired Pneumadyne in August of 2012. Our innovative approach to product development, high quality products and strong focus on customization was a natural fit with Bimba's overall business philosophy. Inherent synergies found across both companies provide limitless opportunity for customers of both Bimba and Pneumadyne. 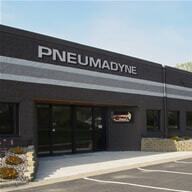 Pneumadyne's success lies chiefly in the design and engineering capabilities acquired through years of developing pneumatic products. Our highly experienced engineering staff works closely with our customers to ensure components as well as complete systems fit specific application requirements. Dedication to engineering excellence contributes to the manufacture of what we believe to be the finest pneumatic components available. Several patents have been issued for our robust and unique designs. 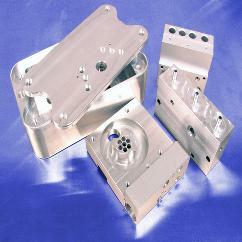 All of our machines are able to accommodate a wide variety of materials from aluminums, brass, steels and stainless steels to plastics such as nylon and polypropylene. While the Milling Centers can accept large pieces of material, our Turning Centers quickly and efficiently cut bar stock sizes ranging from 5/64" to 1 1/8". Secondary services such as heat treating, plating, laser etching, grinding and pre-applied sealants can also be provided. ISO 9001:2008 certification, received in 2004, demonstrates our commitment to quality. Stringent quality management systems, standards and guidelines ensure that we are producing products that meet and exceed the highest of customer standards. 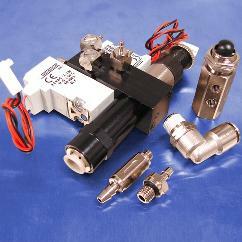 Pneumadyne, Inc. continually strives to be a leading manufacturer of fluid control components and systems for distributors and OEMs worldwide. With a proven understanding of the design, technology and precision manufacture of fluid controls, we seek to create solutions for our customers providing them with a competitive advantage. By encouraging all of our employees to pursue their highest potential in an atmosphere of growth, opportunity and training, consistent with the values of teamwork, pride, honesty and reliability, we are confident these goals are attainable.